Android is known for giving customers control over every tiny detail of their usage. The settings application on Android is filled with comprehensive toggles and options for every little tweak than one wishes to do. However, there was a little tweak that was missing from Android for quite some time, which surprisingly has always been present on iOS. 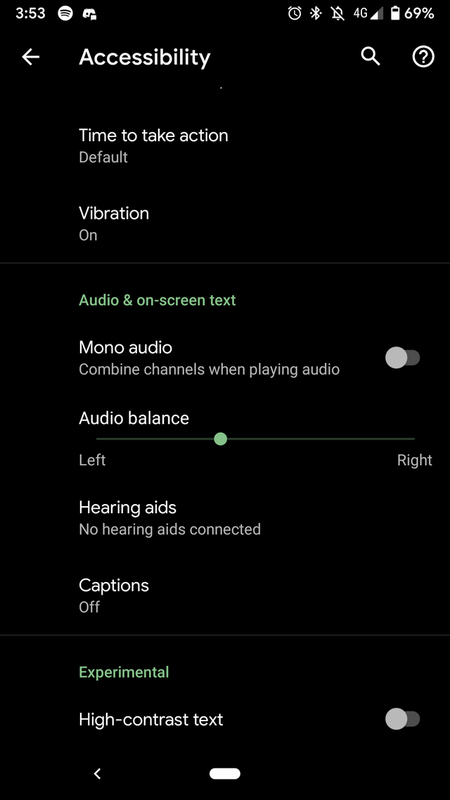 With the latest update of Operating System, the Android Q, Google has decided to give users control over their speaker sets. Termed Audio Balance, this tweak is in the form of a ‘slider’ that can be used to control the output of a device’s speaker. Pointed out by a Reddit user @Jofzar, this tweak can be accessed in the Accessibility panel of the Settings application. On both sides of the slider are terms ‘left’ and ‘right’, which means users can slide to either side and control which speaker protrudes more volume. All the way to the left would mean only the left speaker would work, and vice-a-versa. Although it’s a bit basic utility, it is helpful on some occasions, like if one side of your earphones stops working.